Boyle Abbey in the Irish midlands, was Connacht’s (one of four traditional regions of Ireland) first Cistercian monastery. Founded in 1142 (though not consecrated until 1218), Boyle Abbey was built alongside the skeletal shell of an abandoned Celtic monastery. Cistercians, also called Bernardines or sometimes White Monks (for their garments), are a Catholic order of monks and nuns from Cîteaux, France (near Dijon) that were a highly influential religious sect under the renowned influenced of famed Bernard de Clairvaux. 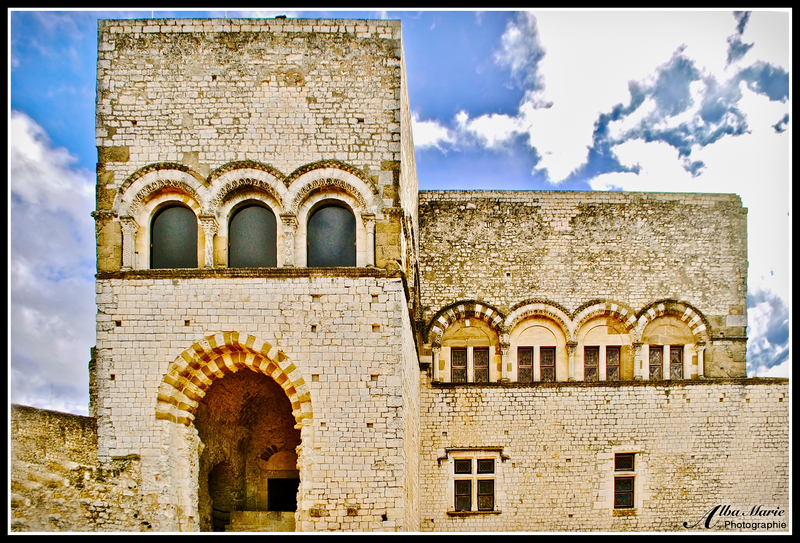 Widespread across Europe, the Cistercians founded hundreds of monasteries, abbeys and daughter houses. 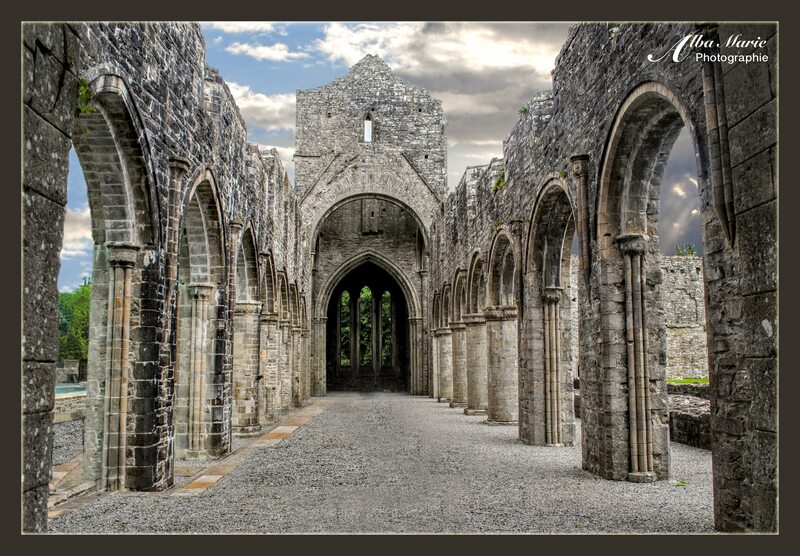 Though the Cistercians seemingly found it difficult to settle down in Ireland, they finally found their home in Boyle, growing quite successful at founding many daughter abbeys and monasteries throughout the region. Unfortunately, much of the beautiful cloisters and other fine architectural details are lost today. In 1645, Boyle Abbey was besieged by the evil Oliver Cromwell and his English army of hooligans, who spent the better part of four years (from 1649–53) murdering, destroying and causing terror and mayhem across Ireland for the sole purpose of conquering Ireland in order to steal their land and force them under English and Protestant rule. Of course, Ireland was predominantly Catholic (and thanks to the misogynistic tyrant Henry VIII, the English were very strongly Protestants) – all of which lead to the Penal Laws that effectively outlawed Catholicism in Ireland. Poor Boyle Abbey was once again ravaged in 1592, this time when it was transformed into Elizabethan barracks – soldiers’ quarters and a base for the English army – because what better way to assert dominance over your colony than use a monastery as a war engine (the British don’t fare well in Irish history…). Archeologists, historians and conservationists have attempted to recover and conserve the abbey as much as possible, carrying out both repairs and archeological surveys – leading to both a new wall and some interesting finds – with the abbey presented as it would have been under the Cistercian command. Tip: Today, Boyle Abbey is under the care of the OPW (Ireland’s public works office) so check opening hours before you go, and be prepared for poor weather conditions as most of the tour is outside. Afterwards, eat at the deliciously organic Drumanilra Farm Kitchen, or head to the Book Lady for a bit of reading material, Ireland’s self-proclaimed smallest bookshop. It’s the journey, not the destination that makes a place special, which is certainly true of St Michael’s Monastery near Heidelberg. Start on the far side of the river by meandering your way up a path called Philosophen Weg. Steep and narrow, this cobblestoned alley quickly sweeps you out of the city and up into the deep, dark woods overhanging the gothic spires of Heidelberg. Then, the path promptly splits in two, and your only signpost signalling the way is a boulder engraved with obscure German words. So what do you do? Choose a path, and hope it’s right, though you soon start second-guessing yourself as you come to another fork, and another. At each path, there is a new boulder, with new words. Scratching your head with frustration, you cast your eyes around you in hopes of discovering a clue. Suddenly, you feel very much like you stepped off the pages of a Grimm’s brother tale. Rounding a bend, the trees suddenly open up over a magnificent panorama of the city. The next opening takes you to an amphitheater with exceptional acoustics (once unfortunately used for hate speeches by the Nazi party). 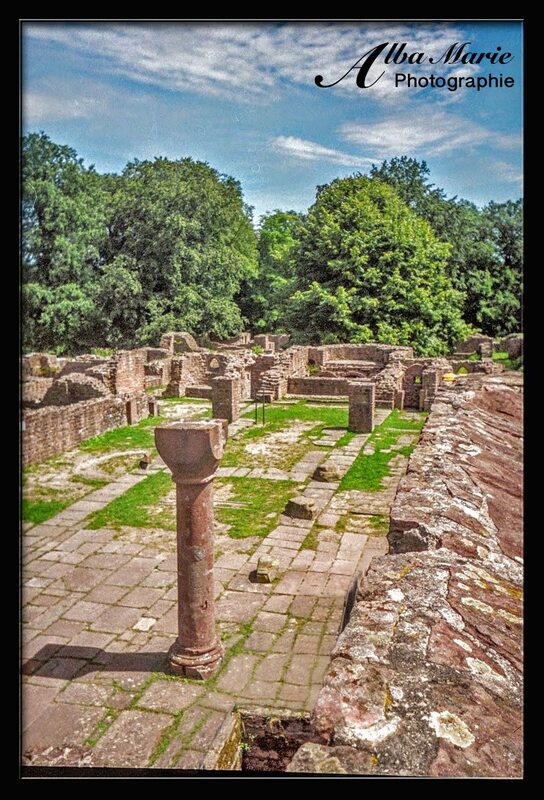 After a small eternity in the dark fairytales of the Brothers Grimm’s world, you emerge, completely surprised at your luck, into a clearing comprised of the ruins of St Michael’s Monastery. While some of its ruins are even older, the majority of the monastery dates to 1023. But by 1503, the complex’s last monks died, and the rural, isolated monastery was abandoned, and like so many once-great places, forgotten. While open to the public today, these little-visited and remote ruins hold the air of a lost masterpiece. Pro tip: The best way to arrive at the monastery is on foot but its best to ask for a map or use a GPS to find your way in the woods. Once you pass the old amphitheatre you’re almost there. Shuttered, dark, and eerie, this once-elegant manor strikes an odd contrast with the surrounding cheery, green estate-turned-park. Curraghchase Manor (the centrepiece of Curraghchase Forest Park), once the reigning jewel of the land, was exterminated by fire in 1941, and its grounds were turned into a happy-go-lucky park for locals of Limerick‘s surroundings to take a stroll, go for a jog, have a picnic, or play fetch with the dog. The manor, though, is haunting. A rounded stone building once elegant and home to the de Vere family who could trace their lineage to a tenant-in-chief of William the Conquerer, today it is completely encased, with no way in or out except the open roof. Gutted by the flames of the mid 20th century, the interior now makes a home for the birds and the bees, the only critters who can fly over its high walls. As proof of its former splendour, it was once the inspiration for Alfred, Lord Tennyson’s poem, Lady Clara Vere de Vere. Today however, the manor exudes a certain eerie quality, not unlike that of the abandoned Krimulda Manor deep in the Latvian forests, or Lake Annecy’s remote, ivy-covered chateau. While today the Curraghchase grounds are full of a variety of tree types, twisting forest paths, trickling streams, silent ponds, and even a miniature (and sad) pet cemetery where beloved pets were once laid to rest, it is still Curraghchase Manor that arrests the eye, thoughts and senses of the visitor. On a more intriguing note, according to local legend, it was the ghostly figure of the Lady of the Lake, first seen by Tennyson, that supposedly caused the tree to come crashing through the window and knocked over the candelabra that started the fire? 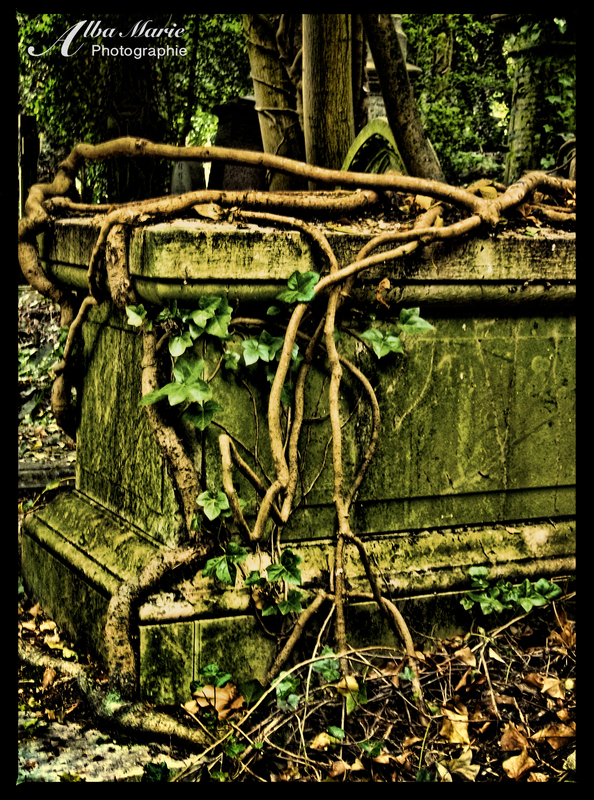 Once cannot help but shiver when thinking about the long-neglected interior, left for nature slowly to take its course, the mythic ghost, or about the scared inhabitants who abandoned their splendid home one cold night in December of 1941, never to return again. Despite the shining sun and beautiful grounds, as one passes in front of Curraghchase Manor one cannot help a little shiver, and a feeling of desolation that passes as quickly as it came before you meander off to discover the rest of the grounds. Masters of art, of culture, of language, of theatre, of architecture, of engineering – we can all agree that the Romans were impressive people. While much of their constructions dies with the fall of the Roman Empire, we can still catch a glimpse of Roman ingenuity from time to time. The Roman Colosseum, the Pont du Gard, the Pantheon, the Spa of Bath, the ruins of Aosta, the Fourvière Amphitheatre in Lyon…Roman ruins exist all over Europe, Northern Africa, and the M.E. 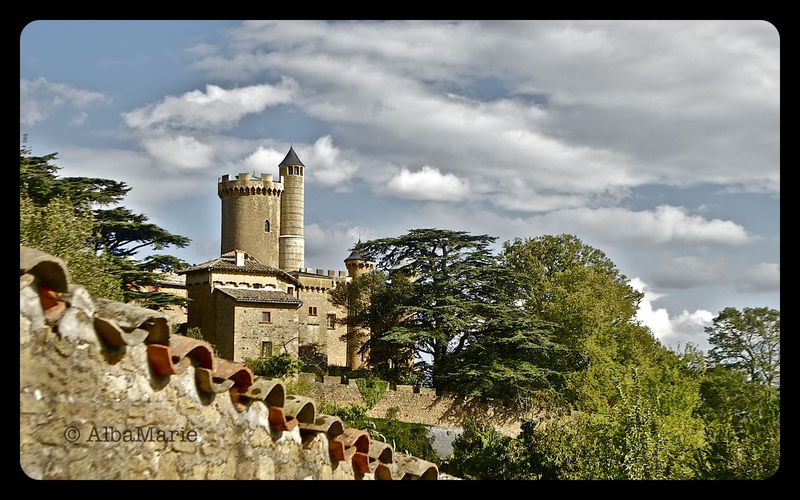 However, one of the most impressive and most accessible exemplars is found in Segovia, Spain. Though the exact date of construction is a mystery, it is thought to date from the reign of Emperor Domitian (AD 81-96), and runs for roughly 32 km on a 1% grade to the city centre. While most of it is still authentic, there is a hefty part (36 arches to be exact) that date from only the 15th century, rebuilt after it was destroyed by the Moors. However, this doesn’t affect the beauty or impressiveness of the ruins. 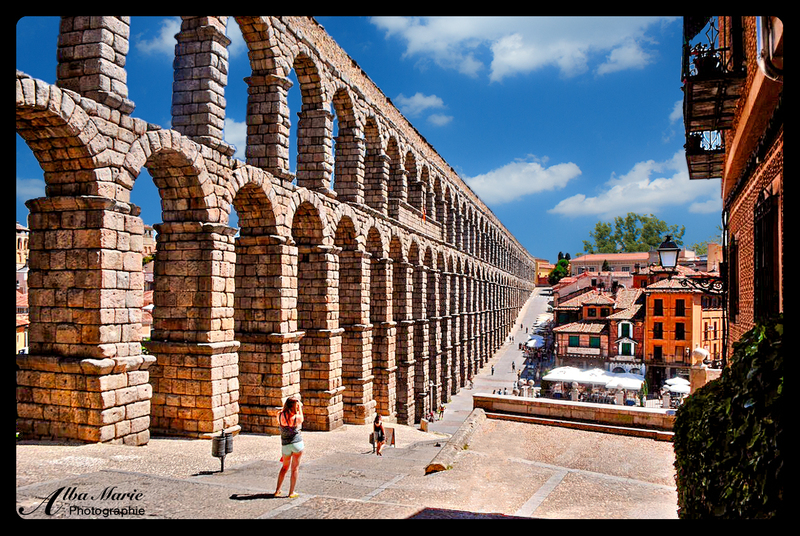 The arches of the aqueduct march right through the town centre, traversing plazas and streets, cafes and buildings. The people milling about the ancient structure seem small in comparison to the enormous arches. When you finally approach the giant feet of the structure, and slowly make your way up the stairs to take you to the top, you feel the goosebumps on your arms as you realise just however impressive is that they constructed this magnificent engineering feat long before the age of machines. Not to be confused with “Vienna, Austria” (despite both having the same name in French), is this little town in central France, lost somewhere along the route from Lyon to Marseille. Vienne would be a typical, mildly-attractive French town if not for a few distinct features…namely, the gigantic Roman temple located in the main town square, not to mention the Roman amphitheater and a “pyramid” (though not at all what you are currently picturing). 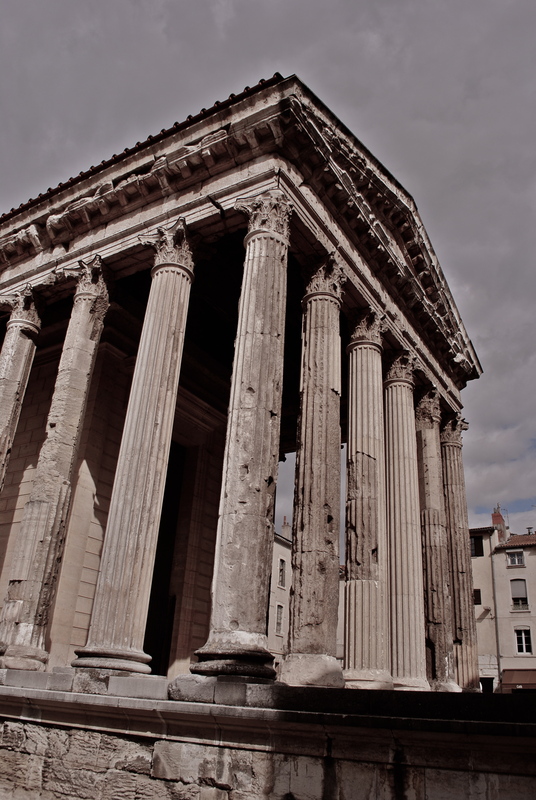 It’s a strange sensation, wandering through a maze of streets, streets one finds in most French towns and cities, and then rounding a corner and–suddenly–coming upon this ancient, free-standing temple that seems as if it tumbled off a page in book on the Roman Empire. 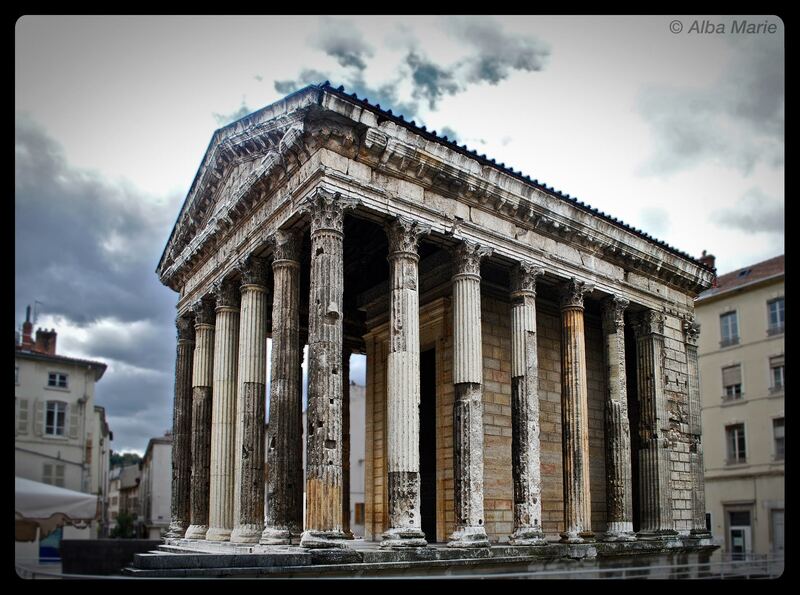 The Temple d’Auguste et de Livie was designed in the Corinthian style and was erected by the emperor Claudius around 20 BC. The main reason why it survived when so many of its sisters were destroyed was its conversion to a church and renaming to match the rise in Christianity, “Notre Dame de Vie.” Additionally, it was briefly converted during the Reign of Terror to celebrate the new god, the “Supreme Being,” and the new “order of Reason” created by the infamous Robespierre during the dechristianisation of France. Today, it resides in this sleepy French town, unconcerned about change or modernity or the passage of time, content merely to exist. The amphitheater here in Lyon is not perhaps quite as famous as the one in Rome, nor is it as complete as, say, the theaters of Nimes or Arles or any of the others. Regardless, one must admit that it’s pretty fascinating that remnants from more than 2000 years ago not only still exist in Europe today–but are still in use! Lyon’s half-ruined amphitheater located at the top of the hill of Fourvière is still used to host ‘Les Nuits a Fourvière‘ (Nights in Fourvière) every summer, where concerts and other events take place nearly every night. Though partially reconstructed, one can still walk through this ancient structure which in part, dates back to 15 BC (the second stage having been completed during the 2nd century). Ruins or not, sitting down in a 2000-year-old amphitheater is enough to send shivers down anyone’s spine! Owning a ruin in the 19th century was a big thing. If you didn’t manage to own your own ruin, well, that’s no problem because you could always build one! History and authenticity was obviously not nearly as important then as it is today. What mattered more was its aesthetic value. More than that, the 19th century saw owning a ruin (real or not) aligned with owning a piece of history, being in control of the past. So if you couldn’t afford to build your own ruin, but still wanted to jump on the ruin-owning, history-controlling bandwagon, you could turn an existing building into a ruin. We saw it with Sham Castle in Bath (a folly; 100% modern), again with the Gravensteen in Ghent (modified ruin), then later with Kreuzenstein Castle in Austria (a new castle was constructed from old bits of other castles). There are countless other examples (one more: Hungary’s Vajahunyad Castle, based on older ruin). Now, we see it again here, with Chateau Montmelas. 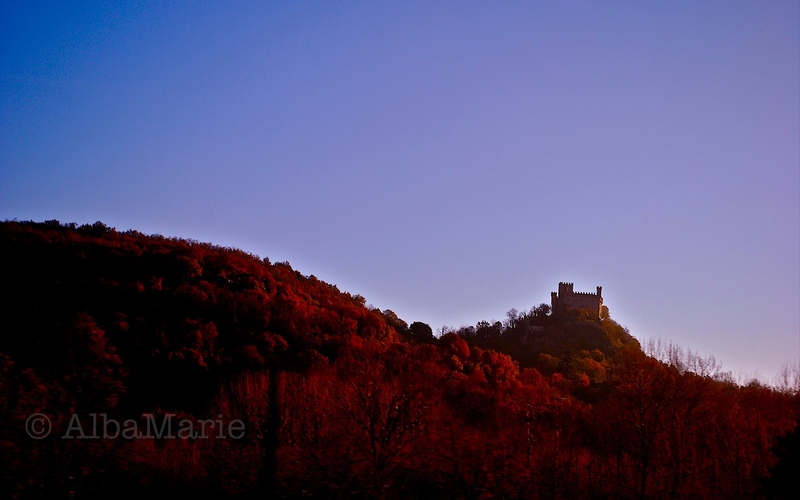 Montmelas began its life as “chateau fort”; that is, a fortified manor house, in the 13-14th centuries. Then, some 500+ years later, crumbling and forlorn, the previous residence of Louis XV’s mistress, it was restored in the Neo-Gothic style. Turrets, crinolines, a keep, courtyards–all very medieval. And in fact, it still retains many qualities and original stonework from the Middle Ages, despite the modifications! Not only that, but it’s appearance is breathtaking. And its current purpose? 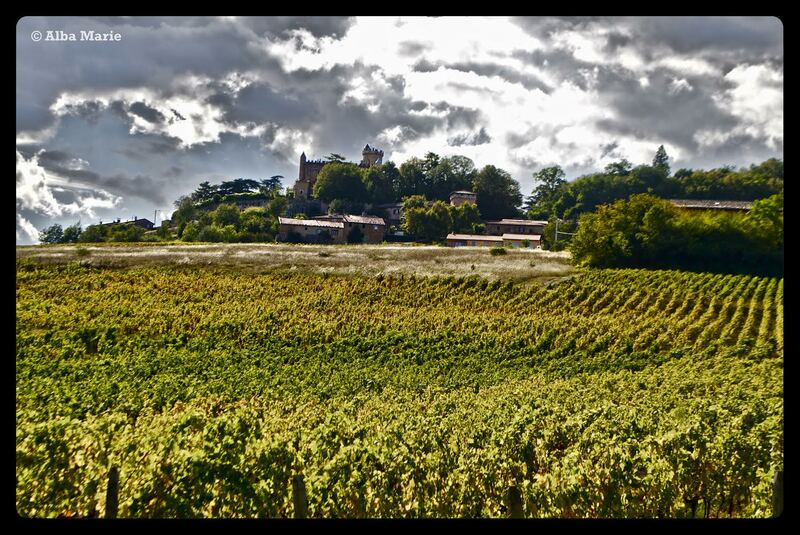 A winery in the Beaujolais, as one can tell from the surrounding vineyards. While privately-owned, the castle can be visited at certain times of the year. 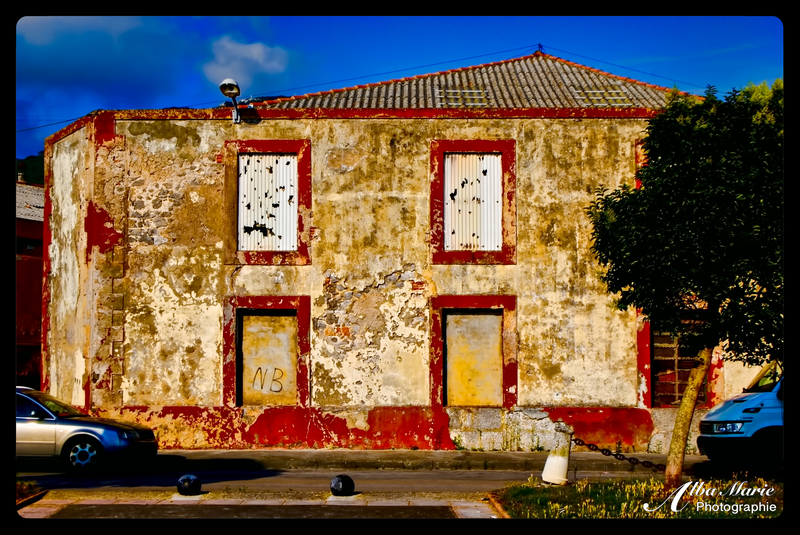 I guess owning a ruin in the modern day–a real ruin, mind you–is still a pretty big thing! We all know that Romans were some of the most advanced builders of all time. Things they constructed not only still exist today, but are often still in use. 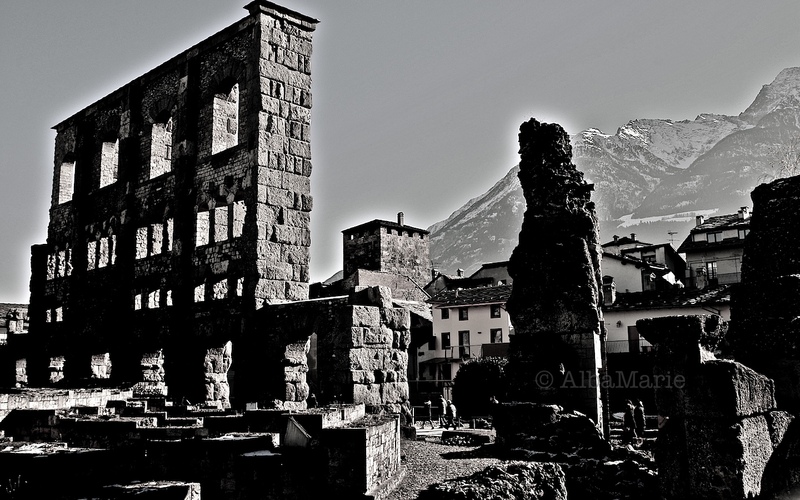 Here in Aosta, a “bilingual” city in northern Italy (not far from the French border), one sees many Roman vestiges. Why? Well, around 25 BC, Marcus Terentius Varro conquered the local people and “founded” the Roman colony, Augusta Praetoria Salassorum, and a few years later, it became the capital of the ‘Alpes Graies’ (“Grey Alps” if you couldn’t guess!) region of the Roman Empire because of its strategic location on the crossroads from Rome to modern-day France and Germany. Of course, everything is aligned on a grid, all is divided equally, centered around the main road–these are the Romans we’re talking about! 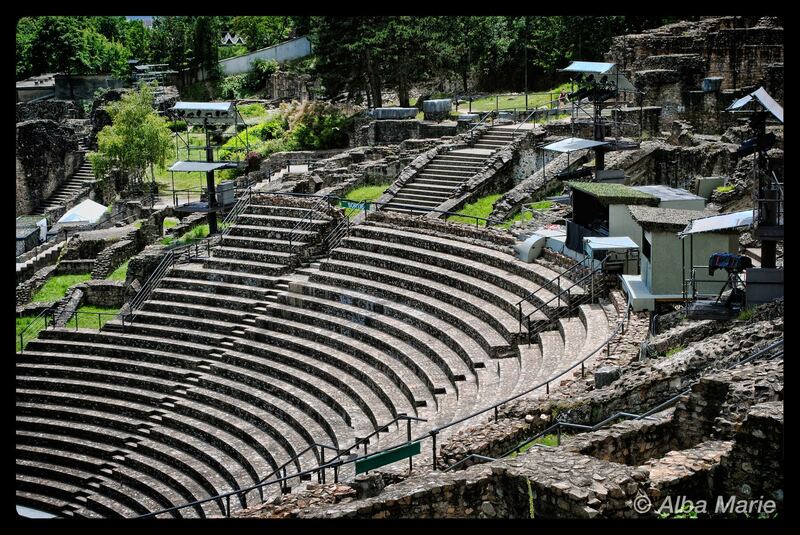 As for the theatre itself, it dates back to the reign of Claudius, and held up to 4000 people. It’s no longer in use today…but just next door is the marketplace, which is still regularly used! The city itself sits on a impressive backdrop of the Alps. Along with the rest of the castle-filled Aosta Valley, the city is also well-known for wine. With the Roman ruins, the magnificent Alps, the surrounding landscape of flowers and villages, the happy Italians, the lovely blend of French and Italian, and the delicious wine (and pizza…this is Italy after all! ), Aosta is the place to be! Castles abound in this Italian region bordering both France and Switzerland. The borders and rulers of this region have changed too many times to recount, giving the region a severe case of identity crisis. Even today, though a part of Italy for a long time, the region still seems relatively bilingual in both Italian and French. The city of Aosta is often the destination—but the train ride to the Roman city is one of those times when Emerson’s expression “life is a journey, not a destination” comes to light. Keep your eyes glued to the train windows because all those times the valley changed hands have created a need for limitless castles and fortresses—therefore, it is rather like playing “Where’s Waldo?” (if Waldo was a castle!) every five minutes! Mostly built in the typical Italian style (see Milan), the castles not only add a romantic flair to the valley, but also serve to remind us of our brutal feudal history—and the reason why we built castles in the first place. Ruins always hold a certain charm–reminders to us that even the best eventually crumble and nothing lasts forever. And yet–they are romantic too, inspirations for artists and poets, writers and songwriters. And the more remote and less well-known they are, the more charm they seem to percolate. To reach the ruins of Krimulda Castle from the train station in Sigulda, one must first cross the desolate yet beautifully scenic Gauja Valley–in a cable car! Step into this adorable little yellow car, and spend the next twenty minutes dangling over the gorge, eyes glued to the window as the turrets of Turaida Castle rise above the treetops. As you land on the right bank, delve back into the solitary Latvian woods via a quiet hiking trail at the edge of the ruins. The odd way of reaching this remote place you never even knew was there–such as the Krimulda ruins–only makes it that much more…amazing. Built in the 14th century by Prince Liven, the castle of Krimulda was constructed on the right bank of the Gauja River Gorge. At the time, the gorge marked the frontier between the lands controlled by the Archbishop of Riga (including Krimulda and Turaida), and the Order of the Brethren Sword (what a name! ), where Sigulda is currently located. The first year of the 17th century, during the Polish-Swedish war, the Swedes took control of the castle…so, rather than lose control of it, the Poles burned the castle to the ground, leaving it to become the ruins we see today. What a life people lived back then. What little girl doesn’t dream of becoming a princess? What little boy doesn’t, at one point or another, dream of becoming a knight? Even as we grow up, castles – especially the unexplored, wild, and overgrown castles – retain something romantic, as if the castle holds some sort of magical power. But as they say, it’s the journey, not the destination, that counts. 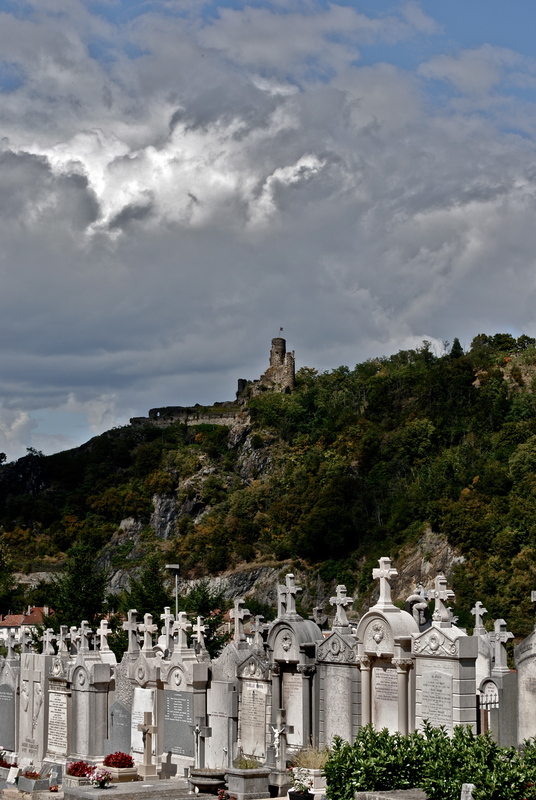 And the journey to reach Turaida Castle is nothing short of adventurous! Starting in the town of Sigulda (where one obtains the highly-detailed map), you continue through the other ruinous castle to Gauja River Gorge, which you cross via cable car to arrive in the ghost town of Krimulda. There, you find a small path leading through more ruins, and continuing on past the Gutmanis Cave, through the woods before breaking out into a small clearing to view your prize—this beautiful brick castle circa 1214, brought to life by the Archbishop of Riga. 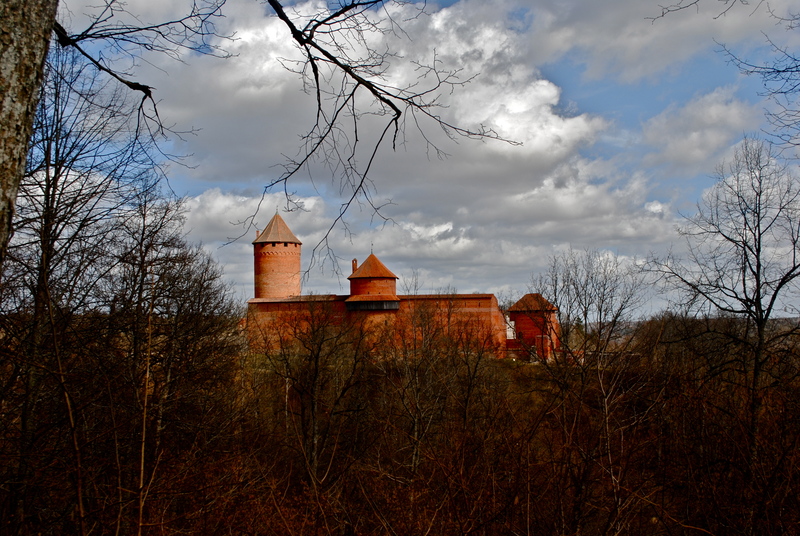 Today, Turaida Castle remains one of the most important ruins in Latvia – but also one of the most interesting to visit. So if you’re feeling brave next time you visit Riga, forsake the car, forsake the bus, and take to the trails. This age-old journey leading through these ancient sites is well worth it. Nothing beats a good set of ruins! In all seriousness, sometimes what has been left to crumble away is just as important as what has been redone and rebuilt. And when it comes to castles, often the most romantic castles, the most picturesque, the most spectacular are the ones quietly deteriorating – especially in Scotland. Case in point, imagine Dunnottor Castle on its cliff-side peninsula, Stirling Castle in the rugged hills, Eilean Donan Castle (the most photographed castle in Scotland) on its beautiful loch, and of course, St Andrews castle itself on the beach. Circa 1200, the St Andrew’s Castle was sacked, destroyed, rebuilt, destroyed, rebuilt, burned, sacked, rebuilt, etc., as the Scots and the English often clashed and continually took their disagreements to the battlefield. 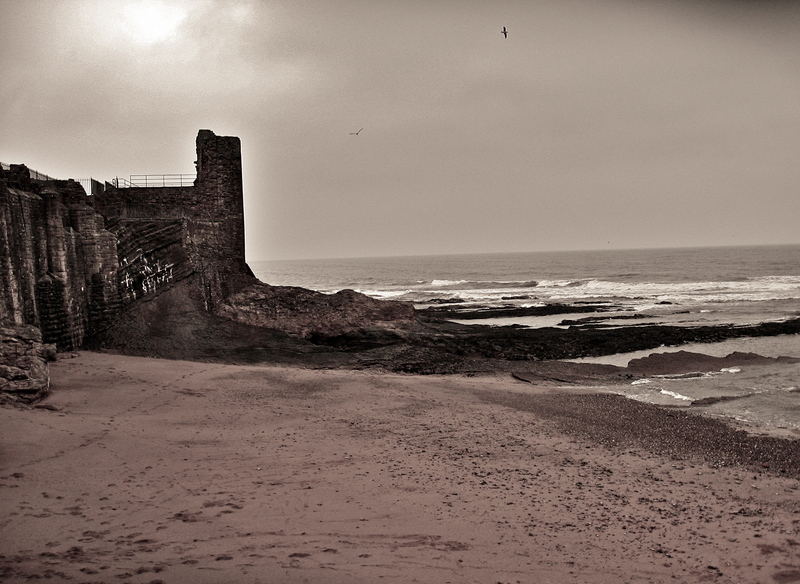 Today, the ruins border nearby St Andrews University (the oldest university in Scotland and also the institution that educated Prince William and Kate Middleton), while overlooking the shores of the North Sea, whose waves quietly lap the base of the castle’s cliffs. 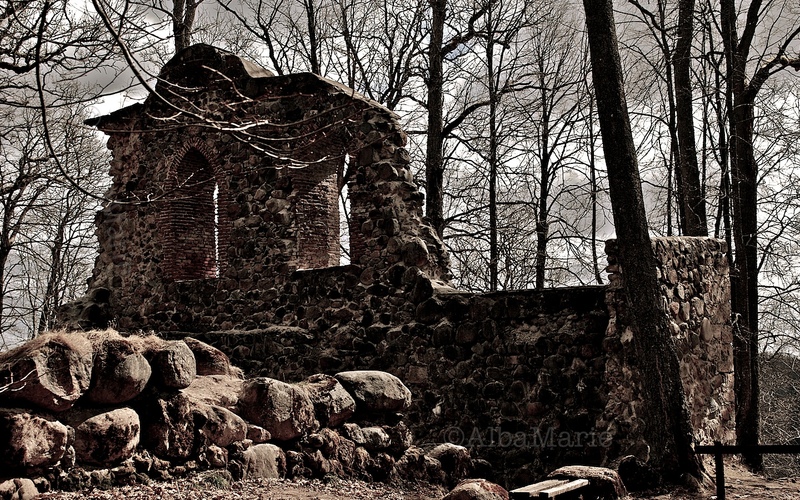 The ruins are quite beautiful in a crumbly, “everything falls apart,” romantic sort of way. Dunnottar is an easy place to fall in love. 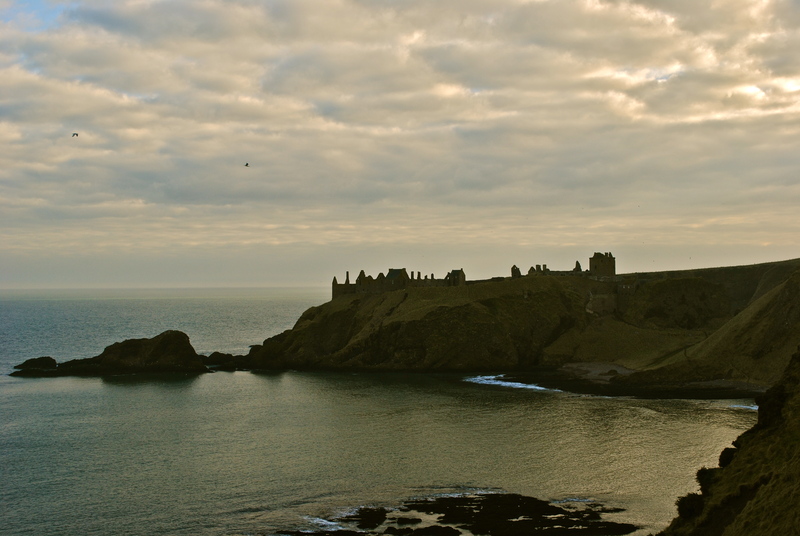 Perhaps due to the rugged nature of the peninsula, perhaps due to the fact that it is a castle on a cliff, perhaps due to brilliant surrounding countryside, Dunnottar Castle will make your heart flutter. The stone fortress is perched on a peninsula which is perched on a cliff, which creates an imposing image as you traipse through the Scottish countryside to get here. Dating back to 1400, this castle is probably the most famous of the roughly 55 castles in Aberdeenshire alone – one of the most castle-dense counties in all of the UK. Dunnottar Castle is well worth the traipse, even if you don’t go inside. The countryside hike to the castle is gorgeous. The castle itself is dramatic and picaresque, which exactly what you’d expect from a Scottish castle. Hidden beaches and steep cliffs line the castle’s edges, sporting a ruggedness that truly defines Scotland’s coast. 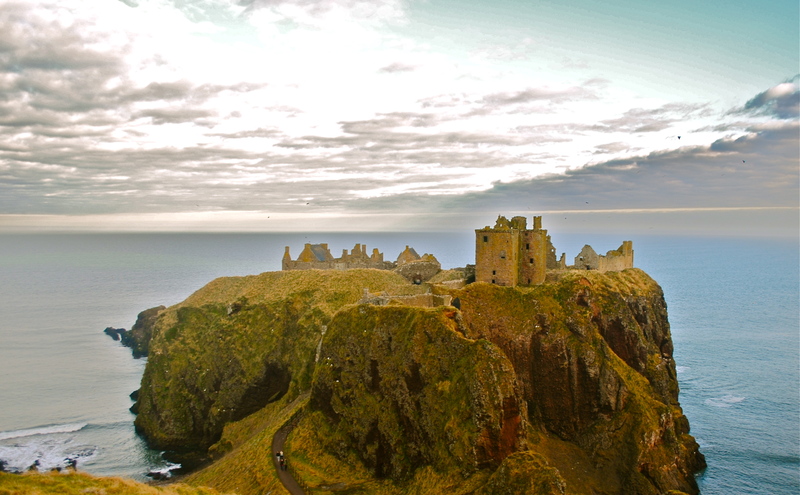 Dunnottar Castle is full of untold treasures, and not just the sort of treasure that glitters! 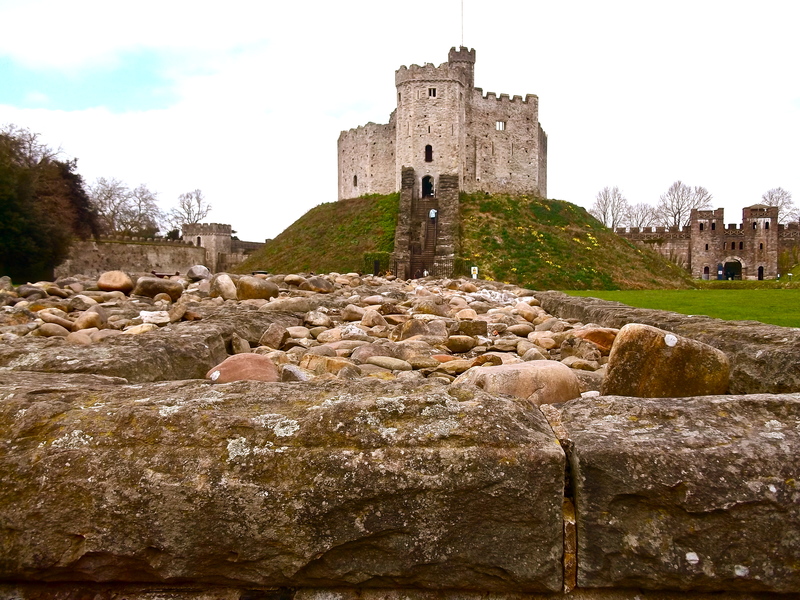 Welcome to the beautiful, rustic ruins of Cardiff Castle (or in Welsh Gaelic, Caerdydd Castell). This 11th Norman century fortification most likely commissioned by William the Conqueror, the castle was built on top of a 3rd century Roman fort, as the site provides a good vantage point to defend the city. 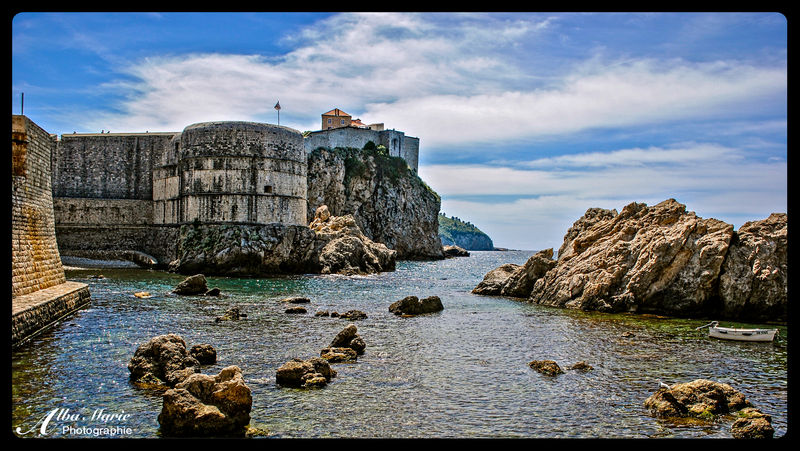 Composed of a central Norman keep and squat lookout tower, circled by a thick defensive wall and a deep moat, perched on an artificial hilltop and topped with crinolines, the castle is the picture of fortified defence. 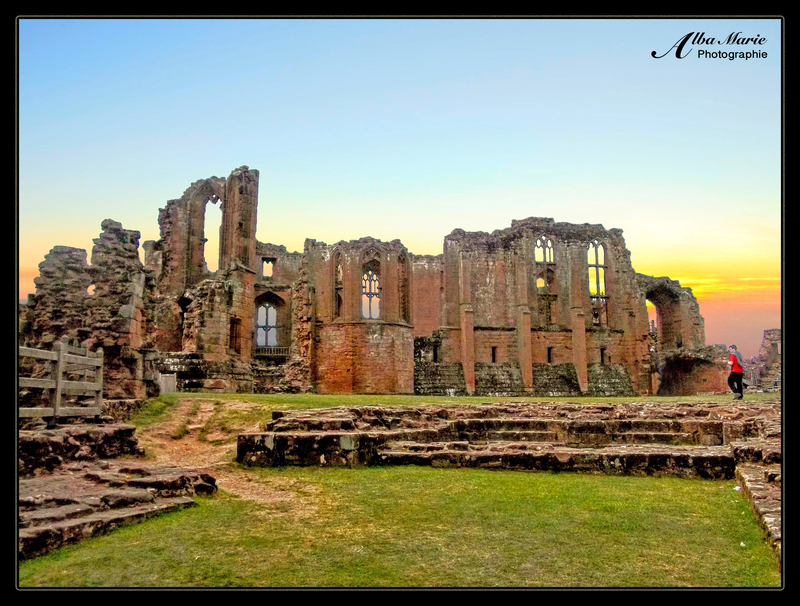 It was repeatedly involved in conflicts between the Normans and the Welsh before finally becoming little more than a decoration after a rich Marquess built a Victorian mansion and demolished all other medieval buildings minus the Norman keep, thinking that it looked Romantic. 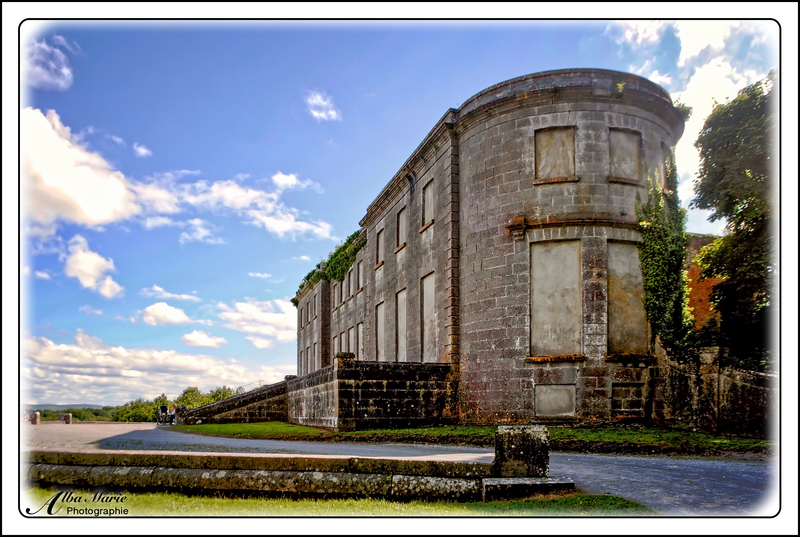 In fact, during the Victorian era, owning a castle or ruin – a real one or an artificial ruin (called a folly) – was all the rage among the wealthy landowners at the time. 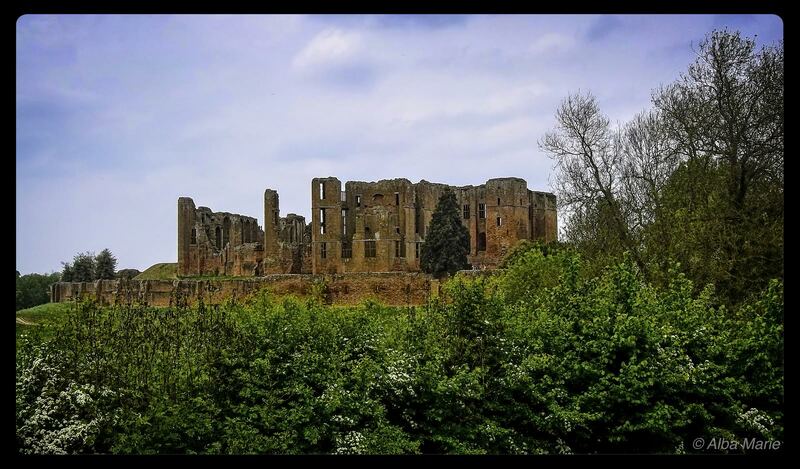 Those who didn’t have a ruin on their property often either bought one, or constructed one (learn more about follies such as Sham Castle, Kreuzenstein Castle or the Chateau de Montmelas, or even the more modern Albigny-sur-Soane). Still, it makes a pretty awesome ruin! One of the most significant sites in Cardiff, be sure there to get there early (or visit off season!) to get the site to yourself. The ruins of Dunnottar Castle near Stonehaven, Scotland. 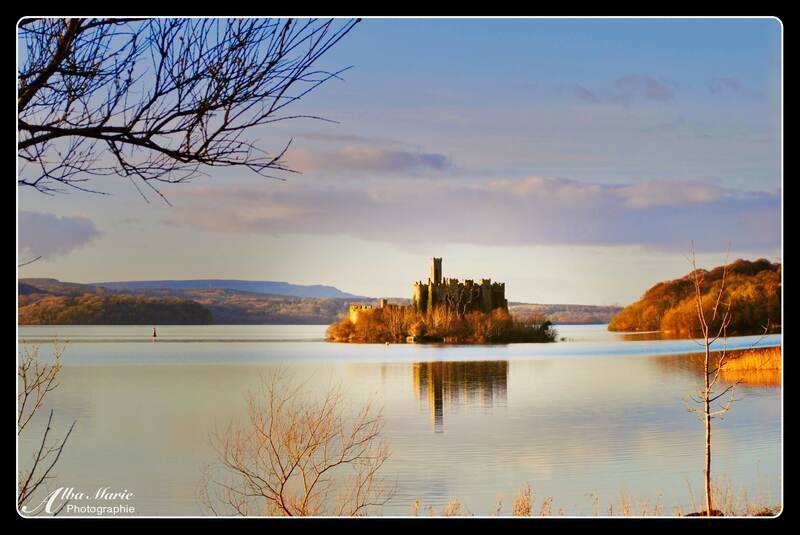 Built in the 15th/16th centuries, this majestic fortress is best known for hiding the Honours of Scotland (Scottish crown jewels) from Oliver Cromwell and his armies. Today, the ruins cling to this small rugged peninsula jutting out along Scotland’s coast. 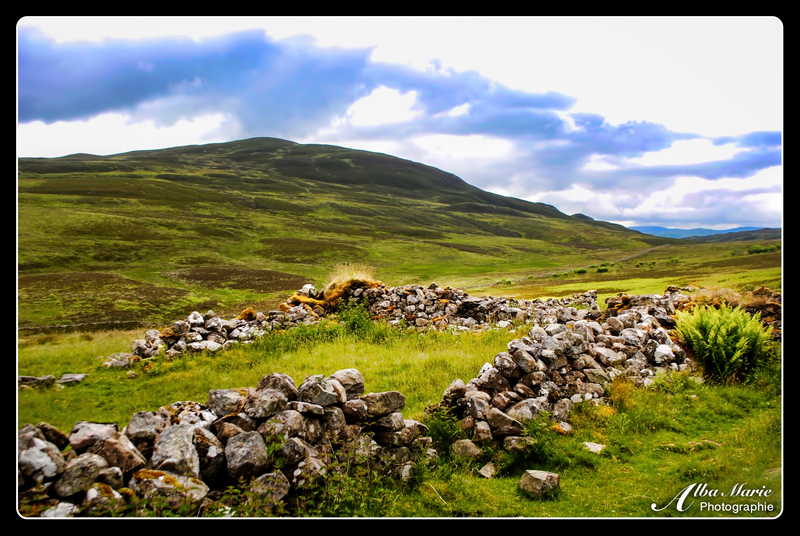 To reach it, one must hike through rolling green fields along crumbling cliffs, watching the ruins slowly grow closer and closer. Up close, the castle is no less rugged or spectacular!